In a spectacularly beautiful country made justifiably famous by such iconic films as The Lord of the Rings, the higher-end �lodge� category of accommodation has come into its own. 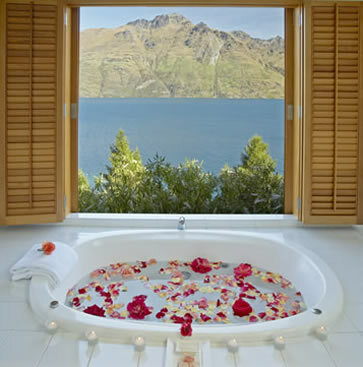 New Zealand�s South Island paradise of Lake Wakatipu, framed by The Remarkables mountains, is home to one special lodge - and one organic spa - that have carved out a singular niche, using products that are 100 percent organic or natural, from local Kiwi sources. He laughs when describing a visiting couple, who had originally planned to do all the requisite sightseeing trips - like Milford Sound - but after one massage, the wife stayed put in the spa for four days, leaving a perplexed hubby to fend for himself. 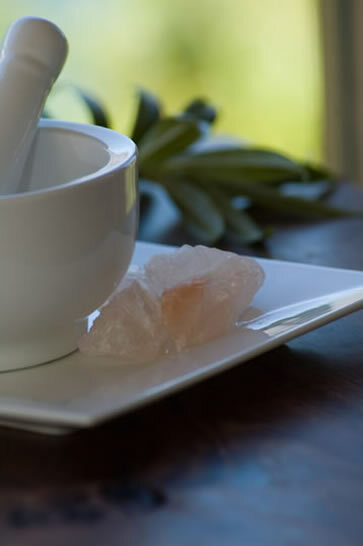 �I�m just staying here,� the wife declared, then settled in for 'the best massage she ever had' and other Matakauri Prescriptives rejuvenating treatments. Not to be confused with an American cosmetics line, Matakauri�s Prescriptives are personally 'prescribed' for the customer, after that initial in-depth consultation. Products are specifically created with organic ingredients such as live natural yoghurt, green tea, or New Zealand�s famous manuka honey. They�re formulated under the watchful eye of spa manager Susannah Simms, �who just smells of naturalness,� says Alley, openly respectful of her skills and experience in the business. In its woodsy setting, with sauna, hot tub and wider treatment beds, don�t expect unnecessary frills at Matakauri. In a land where Nature rules, it�s not the most high tech spa, �but it�s the cleanest you�ll ever see, and it�s about getting the job done,� says Alley. Nicely done, when you�re Job One. Setting Don't the photos just say it all? Why you'll love it Go on, relax ... really: it's ok for this to be all about you. Good to know In February 2008, Matakauri is opening new villas. 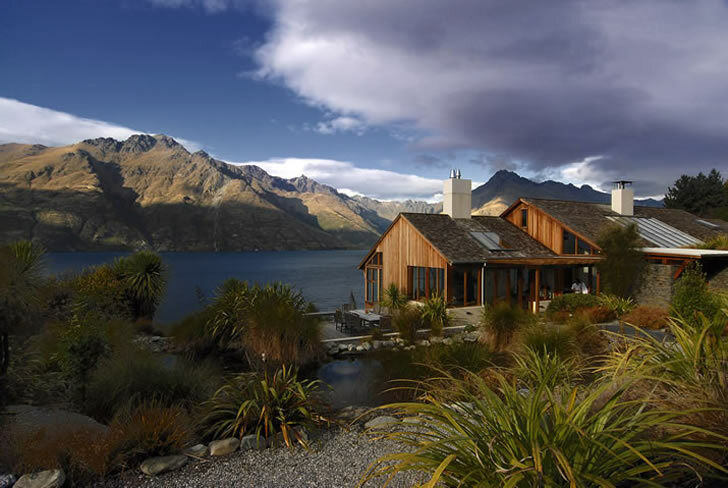 Address Glenorchy Road, Queenstown, New Zealand. How to Get There Matakauri is about 6kms from Queenstown. Quantas and Air New Zealand fly into Queenstown from Sydney. During winter, Air New Zealand has additional flights from Brisbane and Melbourne. Domestic flights are offered by Air New Zealand and Quantas New Zealand. 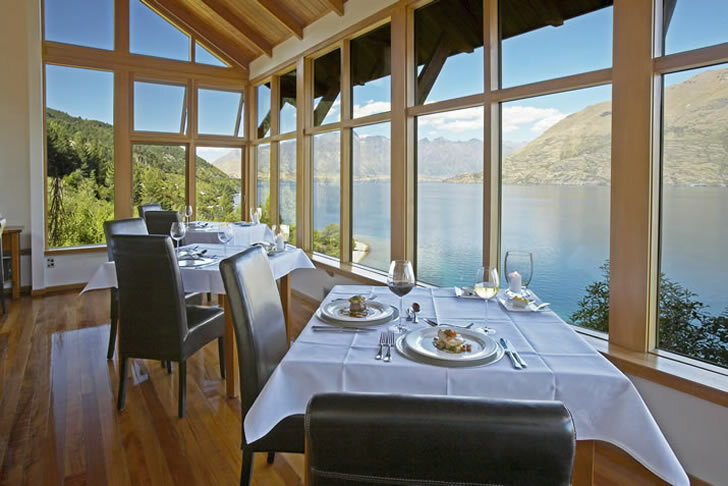 The lodge is about 6km by road from Queenstown in the direction of Glenorchy.